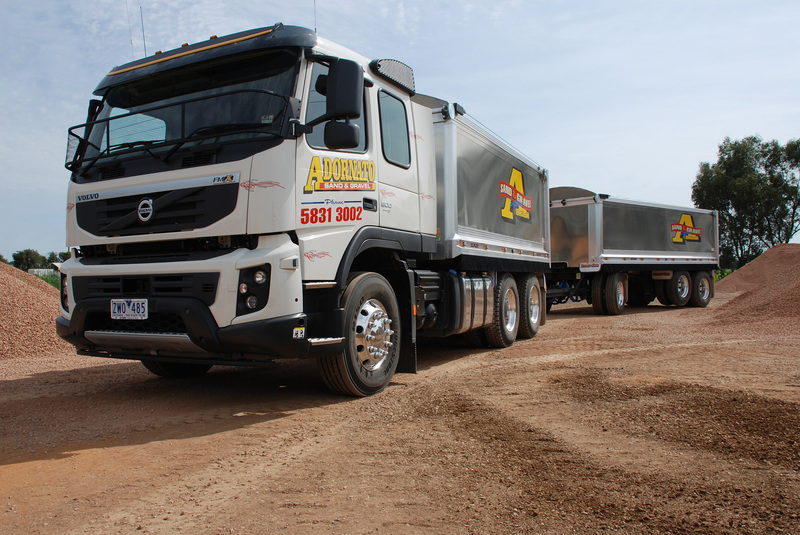 ‘More payload and more productivity’ were the two main objectives Adornato Sand & Gravel Supplies set itself when it recently began sourcing a new rigid and dog combination. The civil and earthmoving specialist turned to PBS specialist, Hamelex White, to ensure it would make the right choice to achieve both goals. By making use of the PBS scheme, Hamelex White was able to adapt the dimensions of a standard truck and dog combination in order to provide Adornato with more payload capacity. 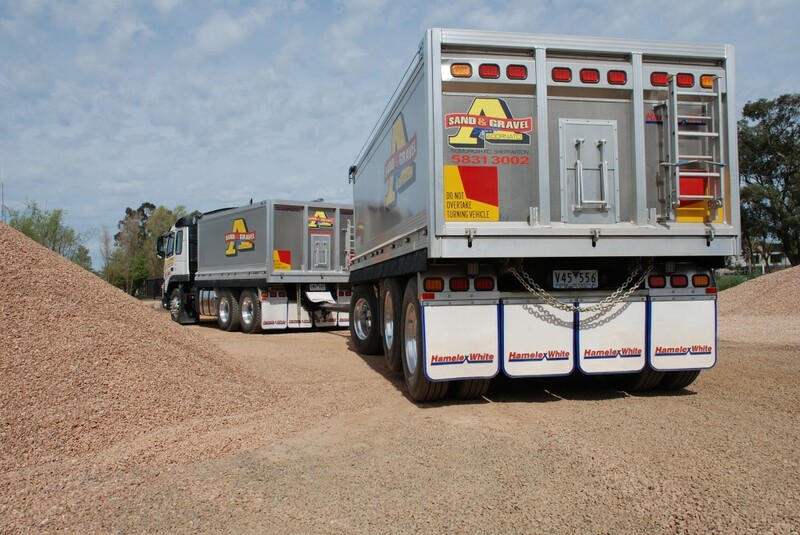 Located 181km northeast of Melbourne, Shepparton is one of Victoria’s largest regional cities and home to Adornato Sand & Gravel Supplies – a transport business specialising in the civil, earthmoving, building and construction sectors that has been in operation for the past 40 years. The company is owned and operated by Ross Adornato, who, after spending six years as a police officer, permanently took over the reigns in 1999 from his father, uncle and two brothers. While the move from catching criminals to carting raw materials might appear extreme from afar, he says the timing was right to shift industries. Just like the high-ranking policeman he was once on course to be, Ross has become the commander and chief of his own precinct, servicing more than 200 customers around Victoria and parts of New South Wales. Adornato currently runs a fleet of 12 prime movers, two rigids, two water tankers and one low loader. The fleet also includes Hamelex White-built trailers including one B-double and three truck and dog combinations. 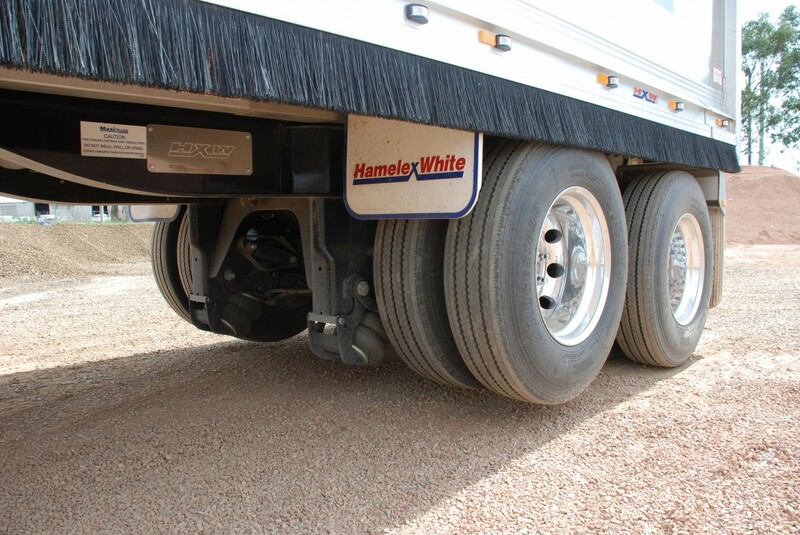 “I purchased the ‘Hunter’ B-double tipper combination from Hamelex White four years ago and just recently, they supplied the two latest rigid and dog trailer combinations – both are currently in operation,” Ross points out. By making use of the Performance Based Standards scheme, Hamelex White was able to adapt the dimensions of the combination to outside the standard legal limits in order for Adornato to carry more payload per trip. Hamelex White was also able to eliminate unnecessary weight from the trailers, giving Adornato an extra 4.5 tonnes across the whole combination. Adornato specified a lift axle into the combination to save on tyre wear and fuel consumption. While the task of managing his family’s business and delegating tasks to his drivers comes as second nature to Ross, he prefers to stick to what he knows when choosing new transport equipment. “Good people relationships and solid performing products are what I base the company’s choices around, which is why I’ve been sourcing most of my trailers from Hamelex White since I started as Managing Director in 1999,” he says.